Analysts believe it is unlikely 21st Century Fox's proposed takeover of Sky will be blocked on regulatory grounds, while the absence of a rival bid means there is little chance of an improved bid. On Friday, Fox announced a fresh approach to buy the 61% of Sky it does not own, six-and-a-half years after the company’s last attempt was derailed when Sky's parent News Corporation became embroiled in the phone-hacking scandal. Ian Whittaker, the head of European media research at Liberum Capital, said today he does not expect rival bids to be made for Sky, nor that the deal would be blocked for regulatory or political reasons. He said: "The UK government is keen to promote investment in the UK post the Brexit vote. We doubt therefore it would want to veto what could be viewed as a major sign of confidence in the UK market." Additional reasons that the deal is likely to proceed without hindrance, according to Whittaker, are that News Corporation has split its assets off, which means Fox no longer has UK newspapers on its books; and that the furore over phone hacking has "died down". Fox’s previous bid came during revelations that journalists at the News of the World had obtained stories about celebrities by intercepting their voicemail messages. Meanwhile, Paul Richards, media analyst at Numis Securities, said there is unlikely to be a materially improved bid by Fox despite shareholder comments over the weekend that the $10.75 (£8.54) offer is too low. Richards said: "Prior to the approach, Sky shares had been poor performers this year due to i) Brexit concerns; ii) continued fears over content price inflation; iii) structural threats from Netflix/Amazon; and iv) fears for material investment in mobile. 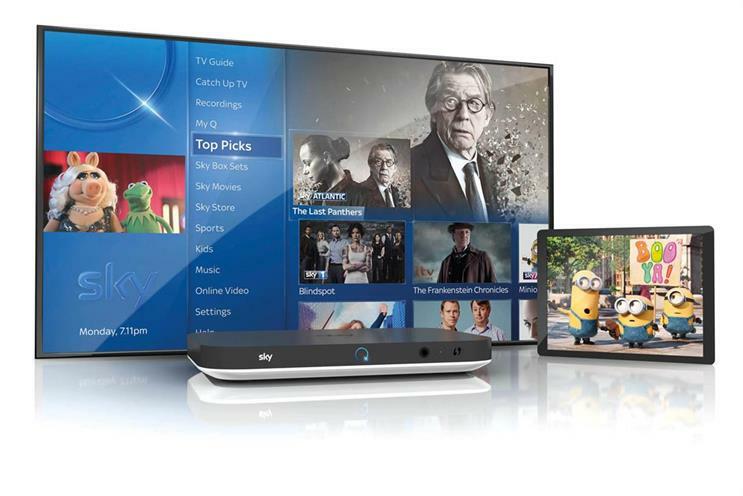 "However, we have remained buyers of Sky noting that: i) Sky performed strongly in the post-Lehmans downturn; ii) we believe UK content prices have peaked and other regions are manageable; iii) subscription video on demand is complementary to pay-TV; and iv) Sky has a FTSE 100-sized opportunity in mobile with comparatively modest upfront investment and a strong chance of success, as evidenced by impressive execution on broadband over the past decade. "Finally, post-Brexit foreign exchange movements have made UK assets attractive to US predators." The view from Wall Street about the deal is relatively positive, according to Brian Wieser, senior research analyst – advertising at Pivotal Research Group, who has rated Fox stock as a "buy". According to Wieser, Fox could benefit from Sky’s experience in a more mature European market, where Sky has developed more sophisticated over-the-top distribution strategies and technology. Meanwhile, synergies should also follow from combining Sky’s existing content licensing and content development businesses with those operated by Fox around the world, Wieser added. "We further think there may be longer-term synergies in negotiating for global sports rights, news gathering (Fox News would be better positioned to compete with CNN globally, albeit in some different editorial form than presently exists at Fox), applications of advanced TV advertising technologies (Sky is already a leader globally), data sharing between distribution, packaging and production arms and potentially easier distribution of (or prioritisation of) Fox owned networks in the future," Wieser said. "This latter advantage may be more significant as Sky expands its OTT services."